Now: $89 with discount code DADTOGRAPHY. If you're on the hunt for the best photo editing software out there, you're definitely not alone. I've been trying out new programs for months now. The problem is balancing functionality, price and complexity. I thought it would be great to compare two photo editors: one specialized in Aurora HDR and one "mainstream" in Adobe Lightroom. When I compared them side-by-side, there were winners and losers. But don't jump to conclusions. Read my review below and see what app wins each category. I love photography, but quite honestly, I hate photo editing. There are just so many tools and programs available to choose from - Aurora HDR vs Lightroom is just the beginning. When I see all of those awesome photos on Instagram, it just frustrates me that I couldn't edit my photos like that. Did you notice I said "couldn't"? Because I can now. When I first got into photography, I was using Lightroom to edit all of my photos and I was pretty happy with how they were turning out. But, I always felt like I wasn't getting everything out of the tool that I should be. It's at about that time I was introduced to the Macphun photo editing tools - Aurora HDR and later Luminar Neptune. I've since switched over to these tools for all of my editing and thought I'd put together this blog post about some of the differences between Aurora HDR and Lightroom that made me switch. What's new in the Aurora HDR 1.2.0 update? Loupedeck integration (for Mac&Windows). 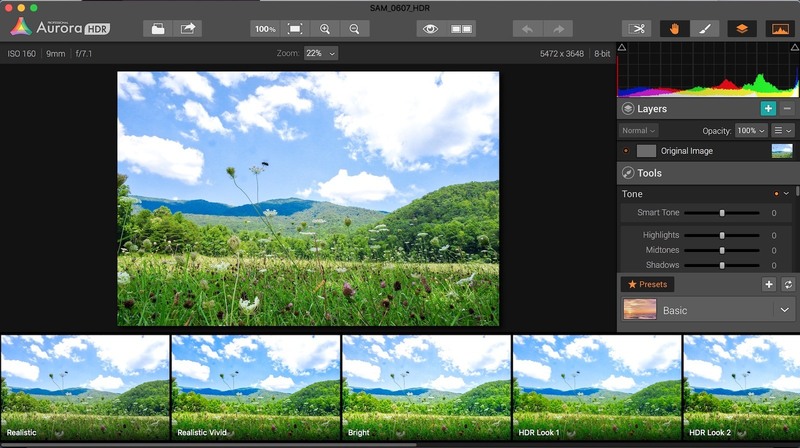 Now, users can quickly process photos in Aurora HDR using physical dials, knobs, and keys. When introducing a comparison of Aurora HDR and Lightroom, you should start with an apples-to-apples comparison. The fact is that the intention of these two photo editors isn't quite aligned from the start. How can you compare functionality of two photo editing applications unless you first talk about their purpose? Aurora HDR is a specialized photo editor for a certain type of photography - called High Dynamic Range or HDR. Most information you'll find out there now focuses on HDR in televisions. It's the same concept in the case of Aurora HDR, but for photography, of course. On the other hand, Adobe Lightroom is a more all-purpose photo editor. It doesn't really "specialize" in any particular type of photo editing. 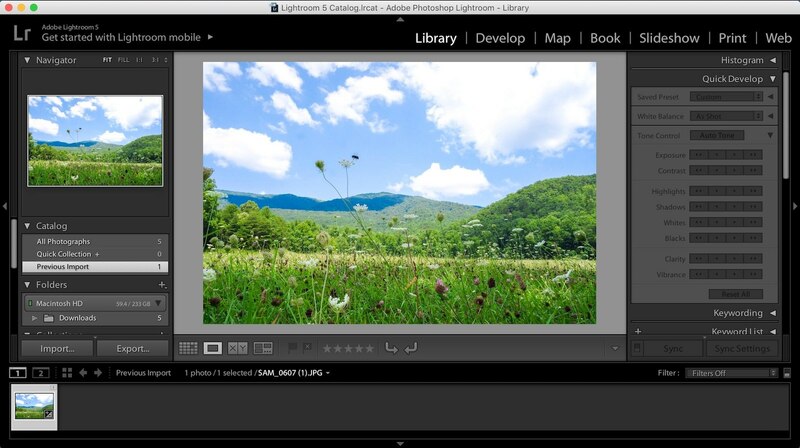 ...Adobe Lightroom is a more all-purpose photo editor. It doesn't really "specialize" in any particular type of photo editing. While Aurora HDR is a specialized photo editor meant for one type of editing & photography style, Adobe Lightroom is not specialized. Rather, it's an all-purpose photo editor meant for all types of editing and all styles of photography. Aurora HDR is most commonly used for landscape photography, since that's the most common form of photography for high dynamic range. Sure, you can edit portraits and other photos in Aurora HDR, but it's not really an all-purpose editor like Lightroom is. Here is a portrait of my son that I edited using Aurora HDR. Notice how the detail really pops in this edit? That's high dynamic range in action. What are the differences and similarities between Luminar and Lightroom? Our post compares these two popular photo editing products. Two great products from Skylum with very different purposes - but what's the difference? We examine both Aurora and Luminar in this side-by-side comparison. Did you know Skylum offers a 15-day free trial of Luminar 2018? Simply create a Skylum account and you'll have access to the full version of Luminar for free! This has to be the biggest difference I noticed between using Lightroom and Aurora HDR. The user interface of Aurora (and Luminar) is far less cluttered to me than Lightroom. Lightroom is a very powerful photo editing software, but with all that power comes complexity. If you're not a professional, you may not need all of the options and features a program like Lightroom provides. Or, better yet, you may not need them all at the same time. The UI of Lightroom is very utility oriented, as to be expected since there is a lot of functionality to account for. In comparison, the UI for Aurora HDR feels more elegant to me. As an application, it still offers a lot of features, but does so in a way that's just easier to look at than Lightroom. Here are two comparison screen shots for you. The first is of Lightroom (version 5.5) and the second is of Aurora HDR Pro (version 1.2.7). Lightroom is a better organizer. Aurora HDR does have its short-comings, and Lightroom definitely beats Aurora in its ability to organize photos. If you're a pro, or if you have a ton of photos, you'd appreciate Lightroom's ability to keep all of those photos nicely organized. Lightroom has what they call "Collections". A collection can be a physical collection (folder structure) and / or a "smart collection". Smart collections can be just about anything - from photos that share the same prominent color (eg: red photos) or the same person or theme, etc. Only your imagination limits the types of smart collections you can build. If you're a pro, or if you have a ton of photos, you'd appreciate Lightroom's ability to keep all of those photos nicely organized. Update: Aurora HDR 2018 (now available) has both Mac and Windows compatibility. Another distinct edge that Lightroom has over Aurora is Windows compatibility - well, at least for now. Lightroom will run on Windows while Aurora HDR will not. However, a version of Aurora HDR for Windows is coming soon. You can click here (af) to sign up to be notified on updates of the Windows version of Aurora 2018. Wrapping up our Aurora HDR and Adobe Lightroom comparison. When it comes down to it, although these two software programs are both photo editing tools, the core differences in functionality and intent really make it difficult to compare them. You can make images of similar quality in both Aurora HDR and Adobe Lightroom. However, we feel that Aurora is the better editing experience - it's easy to use, it's more intuitive and it's less expensive than Lightroom. It's not perfect, but Aurora HDR is a great app! It's not likely that Aurora HDR will ever "take over" as your primary photo editing suite - but that's okay, because it wasn't necessarily built for that purpose. Aurora HDR is great at editing high dynamic range photos. That's why it was built and it does that function very well, in my opinion. What other differences between Aurora HDR and Lightroom would you point out? Leave a comment below!